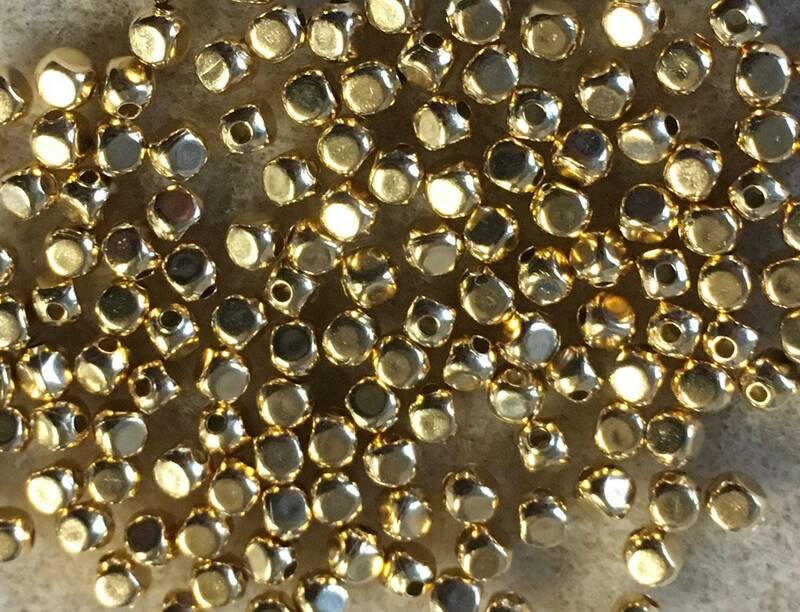 3mm gold plated brass cornerless cube metal beads. Hollow. This shape is also referred to as a corner-cut cube.